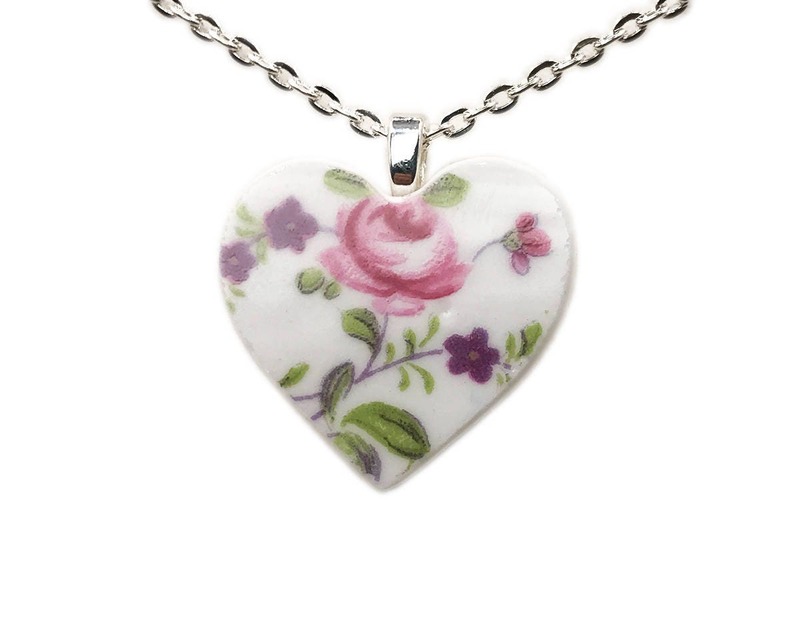 This heart pendant was hand cut from a pretty piece of old china with an overall rose pattern. It is so pretty, if it weren't for the chip I think this one would have ended up on display. Giving broken china new purpose like this, you gotta love it! Pendant Size: 1 1/4"x 1 1/4"